Three lefts make a right, right? Draw it out, you'll see what I mean. 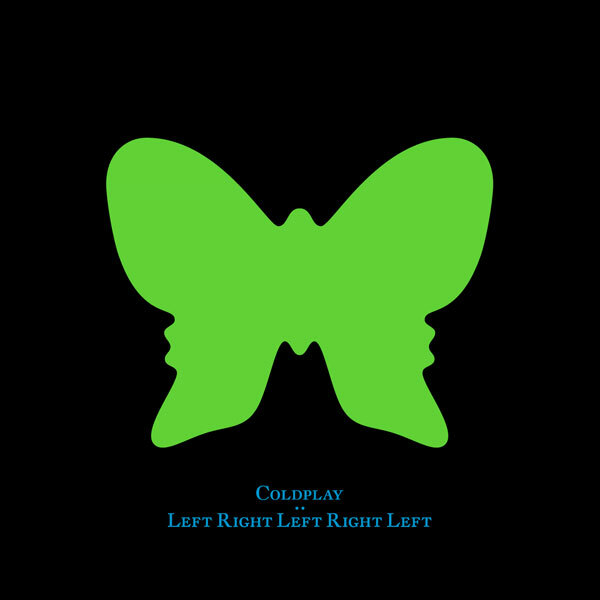 That's the album cover for the free upcoming Coldplay live album LeftRightLeftRightLeft. Fans at every show on the summer tour will get a physical copy, but the record will also be online for free. Van Cleef will be releasing their debut album Supervillianesque on May 29th and to celebrate, they'll be playing an album release party in the Village on Wexford Street. Support from Sarah Gleeson and Mighty Atomics. They'll also be playing a few other gigs which I've listed below. You can download one of the tracks, 'Prince' to sample the tunes. Expect an album review when I get my hands on the record too. Album Launch May 29th, The Village, Wexford Street, Dublin. Ruby Sessions April 21st, Doyle’s, College Green, Dublin. Invasion @ The Button Factory April 4th, w/ The Cades. Another new song made its debut last night. This time one of the B-Side songs from the Bonus Disc of Big Whiskey and the Groogrux King, 'Beachball'. Heaven won't you answer me, why? hanging off his heavy hands. Give me love, big as a mountain, oh oh oh, yea. Give me love as big as a beachball, oh oh oh, yea. Give me love as big as a beachball, yea." I love the way "Elvis" is an anagram of "lives", that's probably why people still think he's alive. One band who do are post-punk band The Mighty Roars. Their new single is called 'Elvis Lives (and he drinks sale)', the scond part of which isn't an anagram. Well it probably is, but I'm too lazy to figure out what. The single is out June 1st, and is taken from upcoming album ZIP which will be out sometime later this year on One Little Indian. Alliteration time guys. Friendly Fires at the Forum. Waterford. On May 28th, free gig as part of Heineken's Green Spheres. FREE GIG ALERT! Adrian Crowley will be playing live at Road Records this Friday, the 1st of May to promote his new album. The gig starts at 5:30, so get there early. More acts announced for Oxegen 2009. Calvin Harris, The Noisettes, Starsailor, perennial favourites The Saw Doctors, The Horrors, Iglu and Harty, The Coronas, The Answer, Spinnerette, and The Blizzards have all been added. As I've said before, the new album from Isis, Wavering Radiant is due May 5th, but now you can stream it in full. Great for those experimental music fans among us. This is not for everyone, but if you like it, you'll love it. Magnolia is the debut album from American Analog Set frontman Andrew Kenny under his new guise, The Wooden Birds. You may know Kenny from either AAS or the split EP Home with Ben Gibbard from Death Cab for Cutie and Postal Service. That was the record that first turned me on to his music, and I've been following him ever since. The Wooden Birds' first album, Magnolia is due for release on May 12th on Barsuk Records. Got my hands on the new Manchester Orchestra album the other day, and I enjoyed it so much on first few listens, I thought I'd have to let you guys know about it. They're not actually from Manchester in the UK, but actually from Atlanta, Georgia. Frontman Andy Hull does sound Manc though! Not only are they not from Manchester, but they're also not an orchestra. Instead they're a five-piece indie band that you should be noticing on your radios in the near future. if not, you must be listening to the wrong station. Mean Everthing to Nothing is the band's second album and the follow-up to the brilliantly-titled Like a Virgin Losing a Child. The song here are much more rough and ready than the predecessor and mark their transgression from somewhat interesting to being an excellent group in their own right. The reasons for that are two-fold. One, they're now older and wiser than their teenage debut, and two, they've got the same producer as the Raconteurs in Joe Chiccarelli. They said themselves they wanted the album to be a darker record, like Weezer's Pinkerton, and this is exactly what they've achieved. They haven't lost the instant hit of the better parts of the debut, but what they now have is a replayability factor. You'll want to explore these songs further, you'll need them to get under your skin. Opener 'The Only One' and closer 'The River' are fin examples of this. The opening track drags you in before the rest of the album suffocates you with feeling. 'I've Got Friend's is somewhat tongue in cheek and glows in the brilliant refrain of "I've got friends in all the right places / I know what they wan't / and I know they don't want me to stay". There are many references to Jesus and God and religion on this record, but after hearing it, you'll be further away from the Lord than ever before. For Hull and co., rejection of religion is just as relevant as embrace. But whatever your religious leaning, you can enjoy this gloriously dark record, and I really suggest you embrace Manchester Orchestra sooner rather than later. I plan on being there next Tuesday, should be great. We're trying something of an experiment in these troubled times. not their thing, it won't cost them anything at all to give us a try. comedy stylings from Contenders Comedy Collective in between bands. Great news, that whistling guy from Naked Camera is to support, oh sorry, it's Michael Stevens, not Jake Stevens. Sorry. Michael Stevens from the excellent Groom is to support Mumblin' Deaf Ro at a very special intimate gig in Bewley's Cafe Theatre on Grafton Street. For those of you who haven't been there, it's a lovely little room upstairs from the cafe itself. The show takes place on May 15th at a cost of €10. Tickets can only be bought in Road Records on Fade Street, and just 50 are available. Told you it was special! Green Day return to Irish shores to play dates up north and down south in support of upcoming album 21st Century Breakdown. Tickets for both shows, at the Odyssey Belfast on 20th of October 2009 and the O2 Dublin on 21st of October go on sale this Friday at 9 a.m. Tickets are from €49.20 for the O2 and £38.00 for the Odyssey. Did I tell you how great the new Bat for Lashes record Two Suns is? Oh yeah, I have. Well, in addition to that brilliant album, she's also covered Kings of Leon's 'Use Somebody' from their 2008 album Only by the Night. It was recorded on BBC Radio 1 Live Lounge, and you can download it, and watch the video of it here. Gorgeous album cover alert! 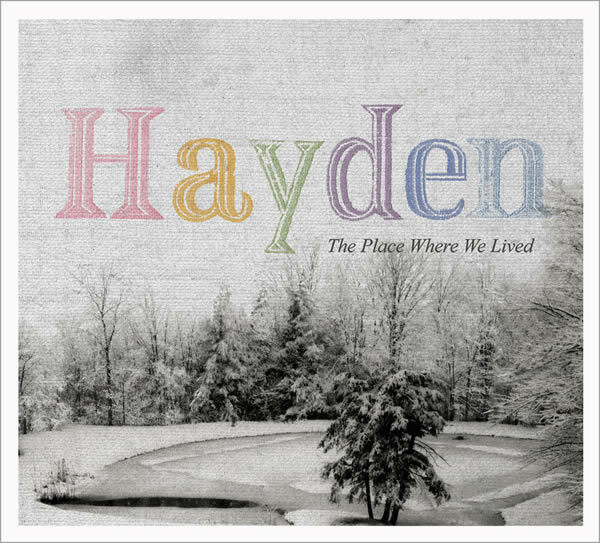 Canada's Hayden is set to release his sixth album The Place Where We Lived on May 26th. Hayden is one of my favourite underrated artists, and like last year's In Field and Town, this is sure to make my Albums of the Year list. Supposed lyrics for Dave Matthews Band's 'Shake Me Like a Monkey' on forthcoming album Big Whiskey and the Groogrux King. Now we know: there's just one song over five minutes, so no extended jams, and the entire Big Whiskey and the Groogrux King album is 54:06 in total.